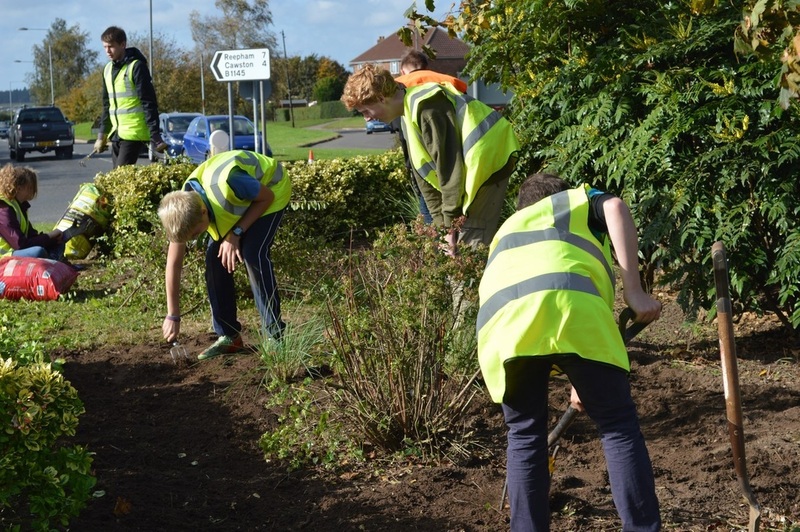 On Sunday, 19 October the A140 roundabout was revamped by volunteers. Aylsham in Bloom members replanted the roundabout with help from the Aylsham Rotary and the Aylsham Detachment of the Norfolk Army Cadet Force. This roundabout is the main entrance to Aylsham and was highlighted by a recent regeneration report as needing improvement to welcome people and entice them into the town. Wendy Sadler, from Aylsham in Bloom, explained that Aylsham has a lot to offer residents and visitors. Getting people into the centre of town to use the shops and tourist sites is important to keep the town alive. She described the roundabout as looking lovely in spring covered with daffodils but uninspiring for the rest of the year. Teamwork was the key to success. Manpower was provided by the Cadets, Rotary and Bloom members. Even the contractor who provided the road safety management did some weeding! 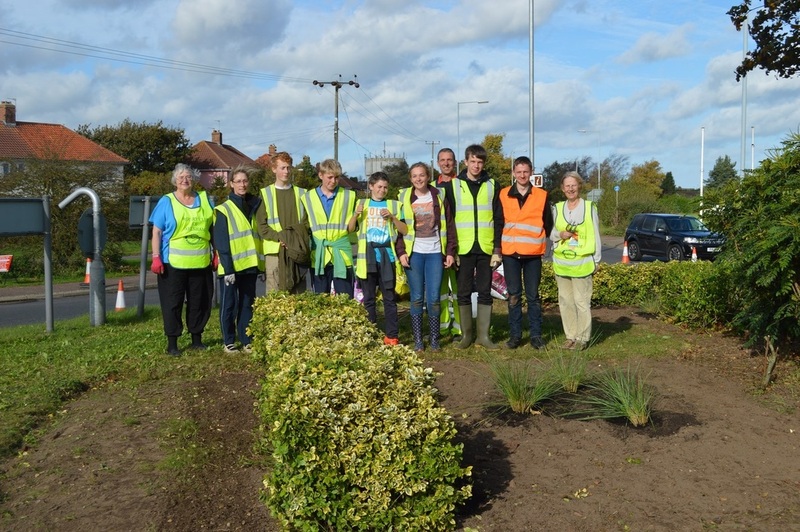 A grant from Broadland District Council bought new plants. Golden Oat Grass will provide height and feathery plumes in autumn, behind the newly pruned shrubs. Seeds of orange Californian poppies were scattered to give summer flowers. The Rotary Club is arranging and paying for the tree to be pruned, to restore its shape and reveal the flowers on the shrubs beneath. Others who contributed to the costs were Baileys of Norfolk Ltd, who also donated compost. Wendy commented we are grateful for all the help we received. 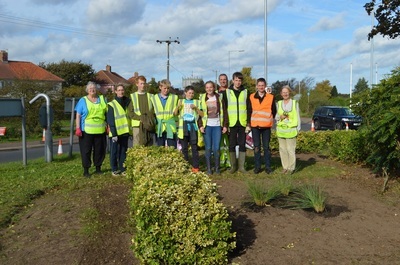 We hope the flowers on the roundabout will add to the floral beds and tubs around Aylsham which make the town beautiful. If you are interested in volunteering or learning more about Aylsham in Bloom then please email aylshaminbloom@yahoo.co.uk.